Step out of the kitchen and they can be used in arts and crafts to mix water based kids paint or sort / store all kinds of little bits and pieces to keep the craft table organised. Care Instructions Handwash or dishwasher safe. Great large size for baby food. Easy to clean. love these ice cube trays! I have red ones which I use to make my dishwasher tablets and toilet fizzies, but need the blue ones to freeze aquafaba, herbs, etc. Great sized ice cubes for making smoothies and shakes in the Nutribullet! We have a few of these ice trays now. I cannot tell you how good it felt to round up my cracked plastic ice cube trays and get rid of them today (responsibly of course). We all know that everyone avoids refilling ice cube trays because they are such a pain. Not any more! These are easy, sturdy, so didn't spill on the dash from the tap to freezer. They are stackable, dishwasher safe, and the best part ? Plastic FREE!.. I have been waiting years to find something like this. 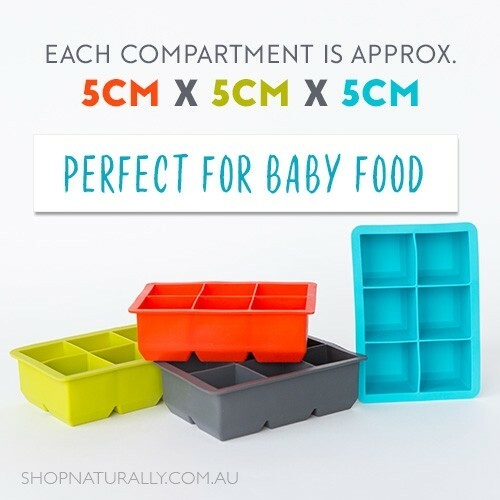 <EOL> <EOL>Perfect size for freezing homemade stock when I just want to use one or two cubes of it in a meal, not 500ml or 1L. ?On the rocks? has taken on a whole new meaning now.. <EOL> <EOL>I?m definitely getting more. 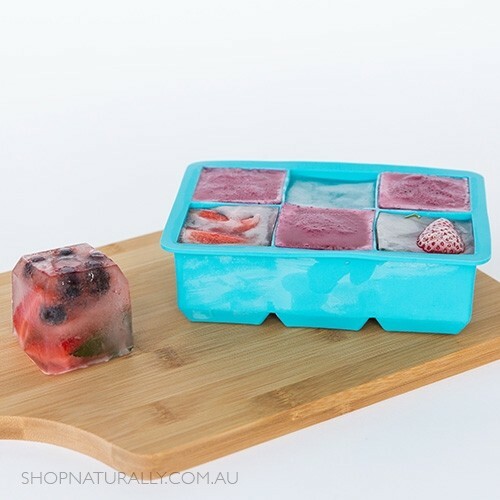 Going to experiment with freezing citrus slices or berries to pop into water for coming summer days, and definitely buying a couple of separate ones as a cheap homemade soap mould alternative! <EOL> <EOL>The only thing I wish this had is a silicone lid to prevent freezer burn when using these trays to freeze food. Let's hope Avanti thinks about this! The Ice Cube Trays are great! My son loves how large the cubes are and it enables us to use bigger chunks of fruit. 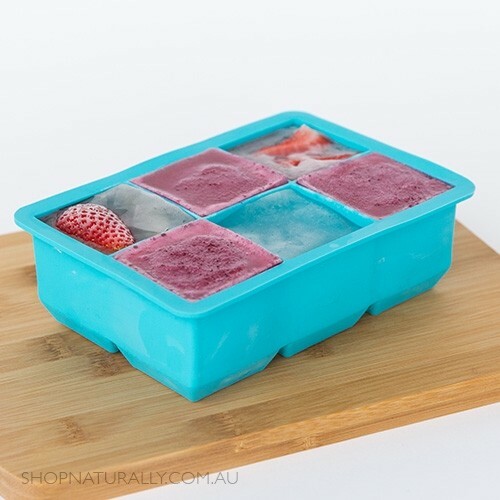 It is a great low tox option when getting rid of plastic ice trays and makes it so much easier when popping out the cubes as the silicone is so flexible! 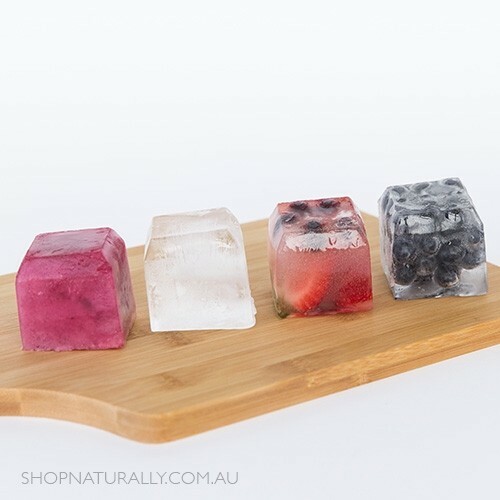 so fun to freeze those berries in cubes for the kids! (and adults drinks!) <EOL>Its a novelty but easy to use, Id imagine is kids were weening it d be good. Great size cubes for so many things - so glad I found these!! Lightweight and durable design. Stack neatly on top of each other. Great size for freezing portions of broth, pesto and sauces.